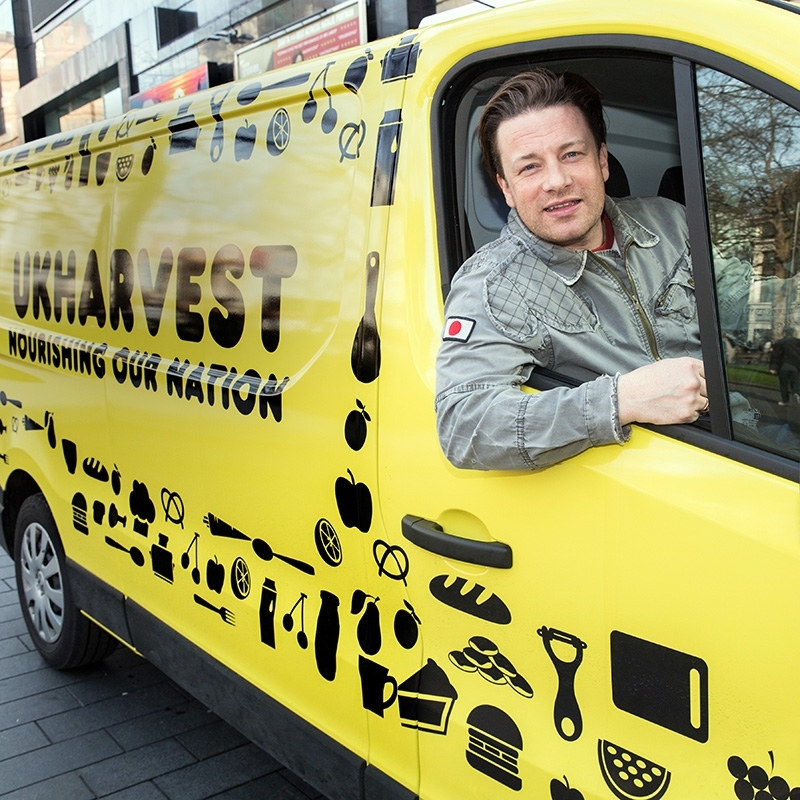 Jamie Oliver has partnered with UKHarvest to host the first ever UK CEO CookOff as part of his Food Revolution. The CEO CookOff will see some of the UK’s top business leaders team up with the nation’s best chefs to cook a banquet for hundreds of everyday heroes who work tirelessly to help others. The event will take place in Old Billingsgate Market on 21 March. Her Royal Highness The Duchess of Cornwall will attend the UK CEO CookOff as Patron of UKHarvest, which reduces unnecessary food waste by redistributing good surplus food to charities that feed people in need. Jamie Oliver has been calling for a Food Revolution for over a decade to inspire positive change in the way our children consume and understand food. This has included campaigning for a national sugar tax, for healthier school meals and ensuring children know about and have access to healthy food, all of which are essential for future generations to lead happy, healthy and productive lives. The CEO CookOff is a great example of what can be achieved when organisations, businesses, communities and individuals work together to raise money for vital food education programmes and UKHarvest’s food waste reduction initiatives. Business leaders taking part include Fiona Dawson (Mars), Ewan Venters (Fortnum & Mason), Richard Scudamore(Premier League) Stephen Miron (Global), Cilla Snowball CBE (AMV BBDO), Craig Inglis (John Lewis) and James Hassett (Barclays). They will line up in the kitchen alongside Jamie Oliver and some of our nation’s favourite chefs including Angela Hartnett, Bill Granger, Atul Kochhar and Gennaro Contaldo. Each team will prepare part of a three-course banquet under the guidance of the professional chefs, before serving up the meal to 600 heroes who work in schools, hospitals and charities across the UK. Speaking about the event, Jamie Oliver said: “It’s absolutely brilliant that we can get all these bigwigs together in the same room with the nation’s top chefs, all rolling up their sleeves and cooking some delicious grub for our everyday heroes – to raise money for the bigger issues around food education and waste. The CEO CookOff will be a zero food waste event. The menu for the evening will be carefully engineered with specific recipes and portion control. Any meal that isn’t served will be collected by a UKHarvest’s van and taken to The Robes Project, a charity that offers shelter and food to the homeless in south London. Organic waste from the dinner will be put into an Anaerobic Digester and turned into compost within 24 hours.